Don’t you just love it when an inspiring shopping trip ends in a lovely meal? The inspiration started with a strawberry. 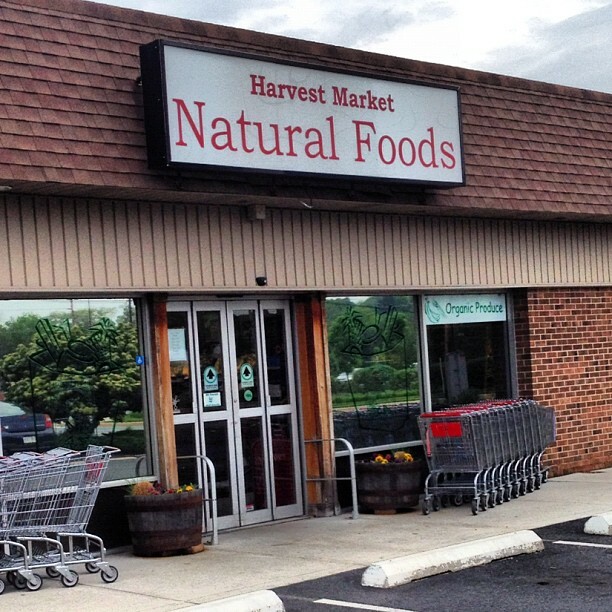 To learn more about Harvest Market in Hockessin, I set up an appointment with April Lea, marketing coordinator for the store. Immediately upon entering her office, April asked, “Would you like a strawberry?” Sitting on her desk was a blue container of beautiful, redder-than-red strawberries. I gladly accepted her offer. “Organic,” she said. “And red all the way through.” The strawberries were sweet and so juicy April grabbed me a tissue. “Are they local?” I asked. Indeed they were. From Esh Farms in Pennsylvania. Our conversation picked up from there. Not only did I learn about Harvest Market, but I also discovered more about good food in general. Educating and helping customers seems to be a running theme for Harvest Market. They opened in 1995 with a commitment to offering organic produce and the best, most natural products available. Harvest has a direct relationship with their farmers and local suppliers. Bob, one of the owners, still goes to Country Meadows in Quarryville, PA to pick up the store’s supply of pastured, grass-fed beef. I asked April if she thinks buying organic or buying local is better. She said it depends on the product. It’s expensive for a farmer to get that Certified Organic seal of approval, even if he or she uses organic methods. But there’s no way of knowing if a product was treated with chemical sprays or grown from a GMO seed if it’s not stamped with that Certified Organic label. At the very least, April suggests buying grains like corn, canola, and soybean Certified Organic. If not, you are definitely buying a genetically modified product (or a GMO, which I’ve talked about before). So many items on grocery store shelves are derived from corn; therefore, so many products have GMO content. Buying certified organic means no fear of chemicals or GMOs, ever. April turned the tables, “How about you? Local or organic?” she asked. I was surprised at my hesitancy to answer. 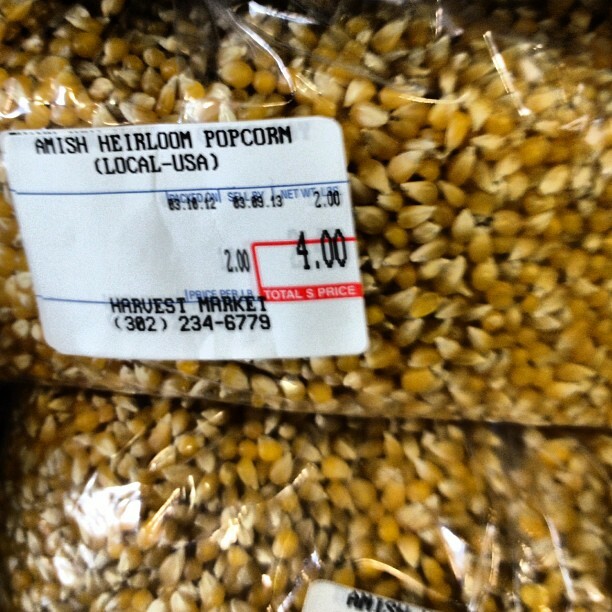 After all that GMO talk, I was spooked. But then I thought about where I get my local produce. Mainly from John, and I’ve helped him plant what he grows. I know what kind of fertilizer (compost!) he uses and how he maintains bugs and weeds. No problems there. As far as other farm stands go, I always get to know the owner and the gardening methods used. In about a month, I’ll be picking up my first CSA box, straight from Bayberry Farm in Middletown. While they don’t have a Certified Organic label, the farmer uses only natural and organic methods. After thinking about it, I told April I think local is the way to go. “That way you know exactly where it comes from,” I said confidently. When I asked April about the local offerings at Harvest Market, she started rattling off a list, but then realized there were just too many to list! She referred me to their website, where I saw an array of local products like Big Sky Bread, Natural by Nature Dairy (local and organic! 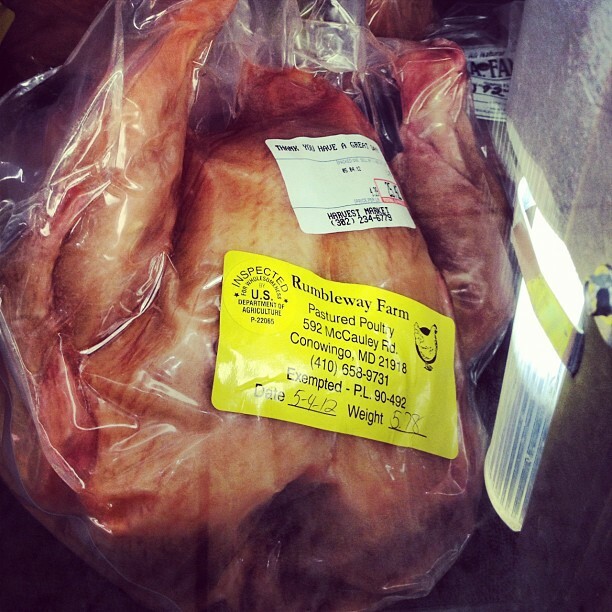 ), Rumbleway Farm meats, a variety of cheeses, even health and beauty products! Like I said, too many to list. Go here to see them all. Or better yet, like Harvest Market’s facebook page. That way, every Tuesday and Friday, you can see a list of both the organic and local produce they offer, making shopping easy. You can also join and pick up a CSA box from Lancaster Farm Fresh Cooperative at Harvest Market. April and I decided that living so close to Lancaster County, PA is a blessing. Not only because many Amish use organic farming practices, but also because the farming laws are less stringent in Pennsylvania. For example, you can still get raw dairy in Pennsylvania, while it is banned in many states. “It’s unfortunate,” said April. “Because raw milk is like the nectar of the gods.” I may have to travel a few miles into Pennsylvania to find some! All in all, Harvest Market is an excellent resource for people like you and me, trying to eat better while supporting local businesses and farmers. In fact, they have a help desk, where you can inquire about products you’d like to see on the shelves and ask any question you’d like. Like April, the staff is knowledgable. My conversation with April was peppered with so many tips and suggestions that I have about 20 blog posts and places to share with you (so exciting!). 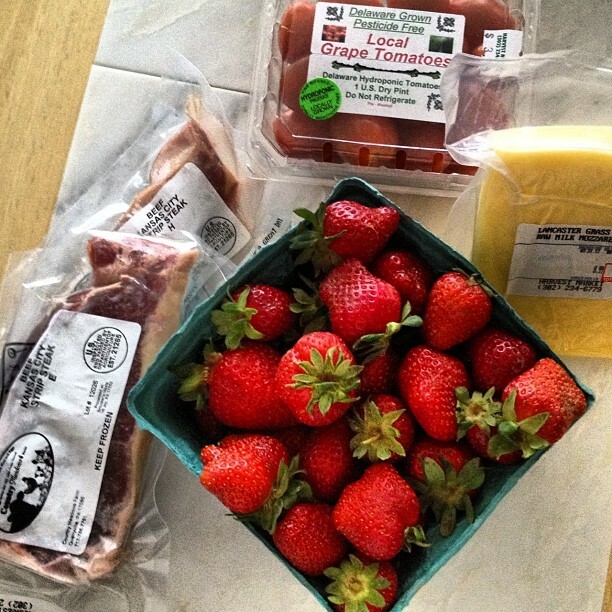 All that talk about food made me hungry and those strawberries only whet my appetite, so I decided to buy some dinner. I haven’t had any red meat since watching Forks over Knives, but hearing about Harvest Market’s selection of grass-fed beef made my stomach growl (grass fed DOES taste better, by the way). 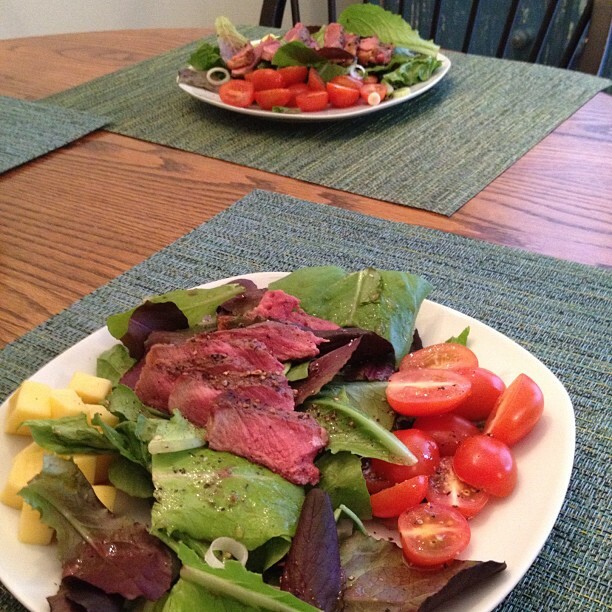 I headed to the freezer and picked out two NY strips from Country Meadows. Then it was on to the produce section, overflowing with organic options. 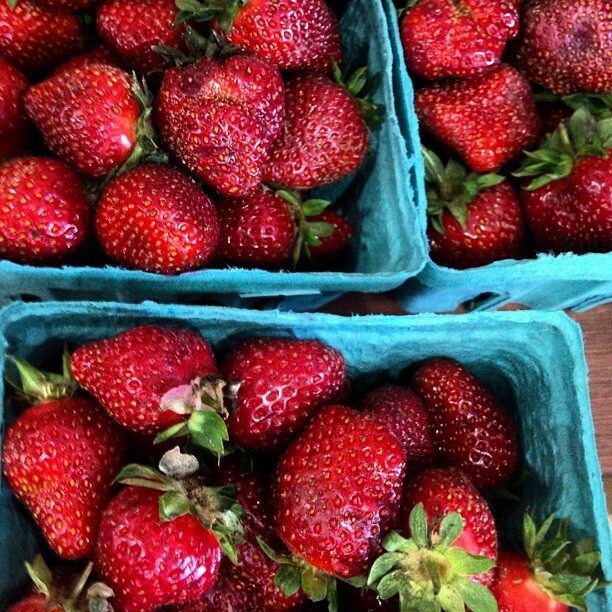 I spotted those amazing local strawberries and snatched them up. 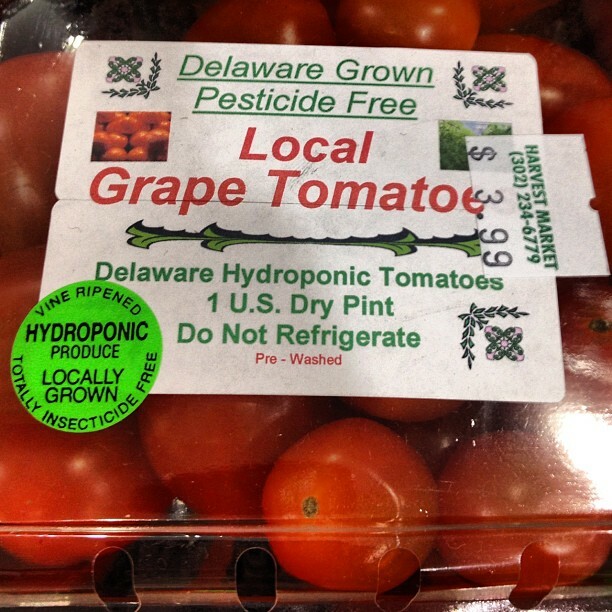 Followed by Dover-grown hydroponic grape tomatoes and some Lancaster grass-fed mozzarella. All those local ingredients combined with fresh-cut greens to make the loveliest of all salads. At Harvest Market, you’ll find a bounty of inspiration for a perfect (and local) meal. Local dinner is served (rare, apparently)! One of my favorite places to shop! And the staff is always super friendly. It’s a great place! I’m impressed with the staff and the array of foods they offer. I love your blog btw! Great food find for you!